We were honoured that Nayara and Rodrigo chose us to help them make their wedding dream come true. They are indeed a special couple, so sweet and deeply in love each other! 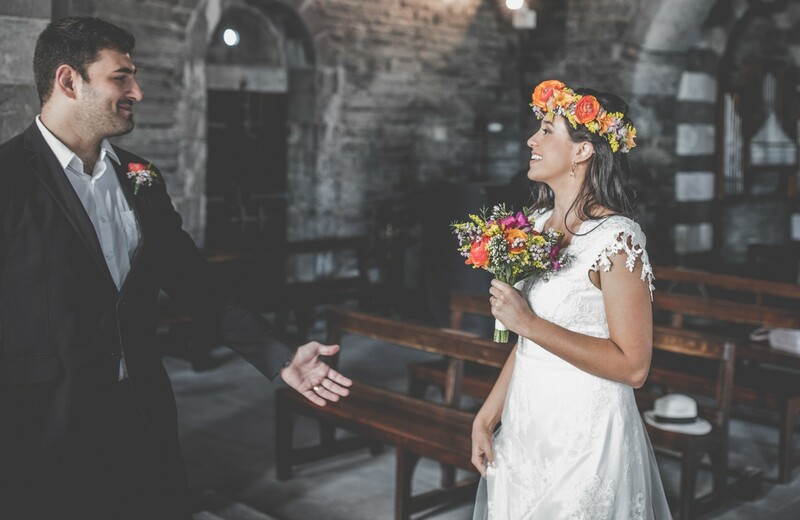 For their religious ceremony, they were looking for a warm, cosy place – simply, elegant and romantic, just as they are. 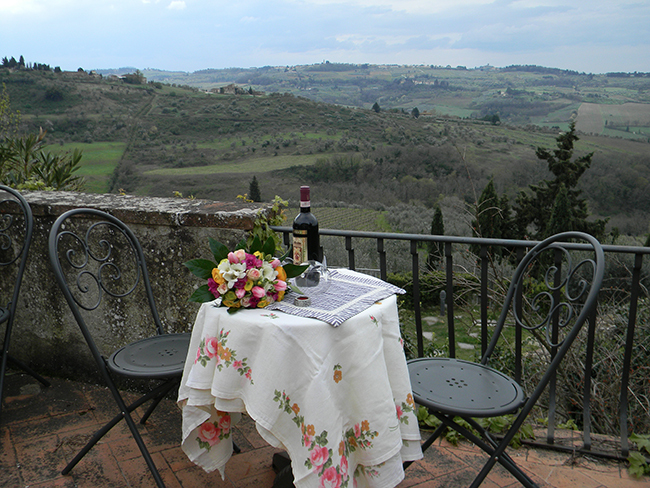 We proposed them 3 different locations, but I was quite sure they would have chosen a wonderful Villa in San Casciano, on the way from Florence to Siena, in the idyllic frame of celebrated Tuscan countryside. 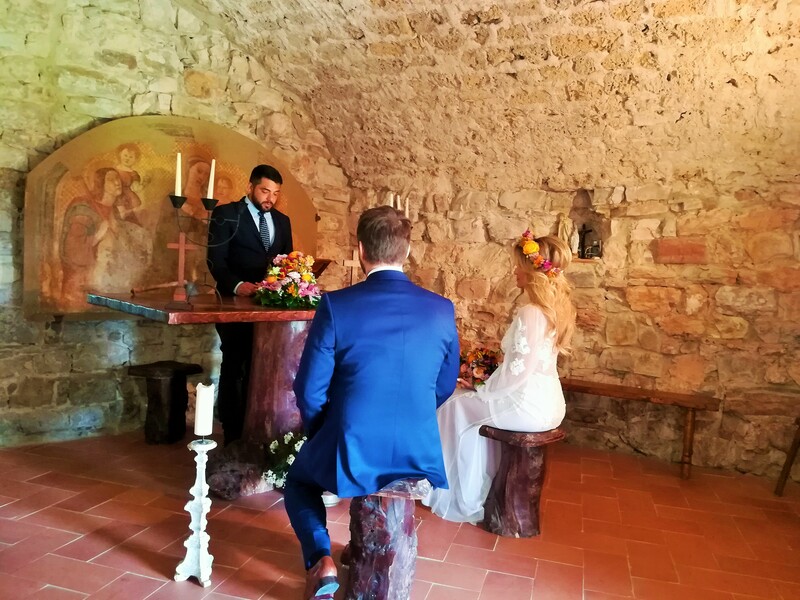 With its lovely private little chapel, it was indeed the perfect setting for their ceremony. The big day started early, when the coiffeur and the make up artist arrived at the Villa. Our photographer was already there, to follow the bride’s preparation. Somebody may not want to have people around during hair dressing and make up, but I find it is a nice part of the event and therefore it is good to have pictures of this moment, too. Then, just the time for the last readjustments and… ready! 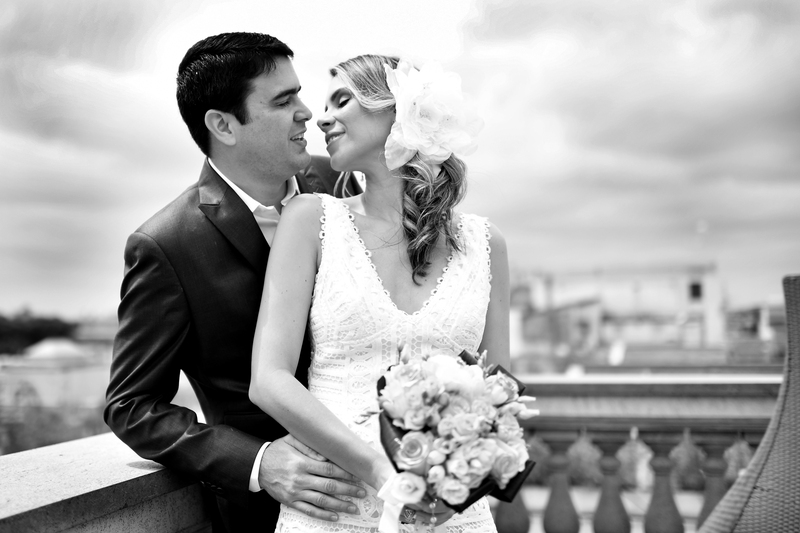 Nayara and Rodrigo were very happy and a little nervous, as most couples are on such an important day of their lives. The wedding was very moving: while they read their sincere loving promises and exchanged wedding rings, I was very touched by hearing their affected voices. The couple had met the Officiator two days before, so the ceremony was relaxed and personalized, exactly how they dreamt to be. Before taking pictures in the dreamful nature surrounding the Villa, a toast all together and a little reception in front of the fireplace. The wedding dinner was prepared for them by a famous Chef from Florence: they said it was a huge quantity of delicious food! Nayara and Rodrigo were lucky enough to have the entire Villa in exclusive for them, so the event was even more special then it could have ever been.